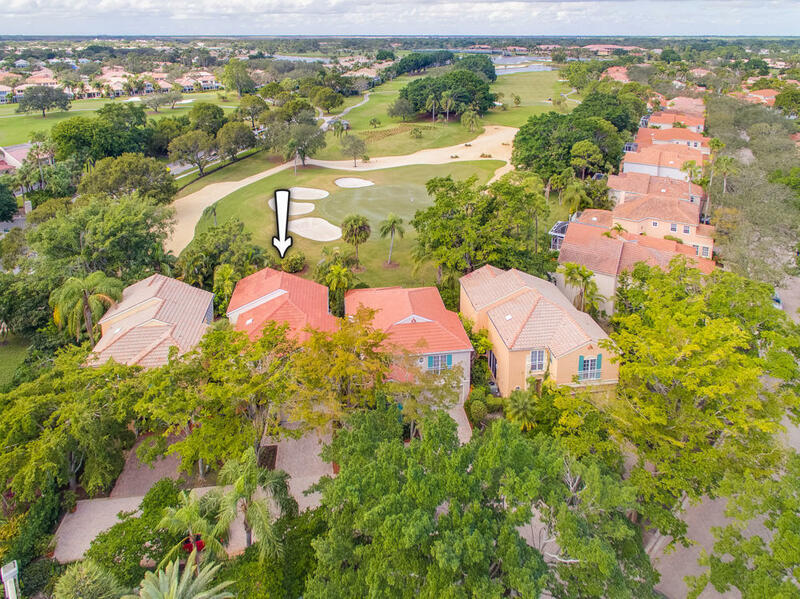 Stunning panoramic golf views surround this fabulously remodeled, bright & spacious, 3BR/21/2BA + loft open-plan home, located on the 2nd hole of the Palmer course in Villa d'Este, the most picturesque subdivision in the highly sought-after PGA National community. This Mediterranean-style home has many desirable features such as soaring 2 story ceilings, massive impact-glass windows and sliding glass doors, newer Travertine marble flooring laid on the diagonal, gourmet kitchen with white cabinetry, marble countertops, and GE stainless steel appliances, and a roomy master suite with vaulted ceilings, spectacular golf views through its huge picture window, and luxurious fully updated modern bath. The expansive patio has paver flooring and is surrounded by lush tropical landscaping. 2018 roof.